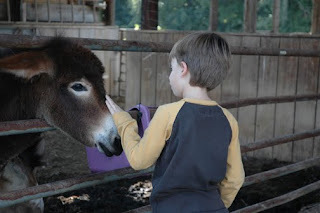 A couple of weeks ago we took the kids to the Crosspoint Church County Fair. 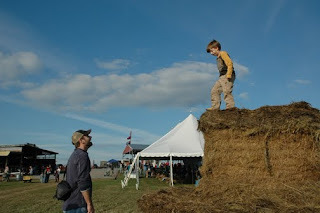 It was held at a local farm with all kinds of fun things to do. The kids all had a blast! Of course I took some pics of our time there. 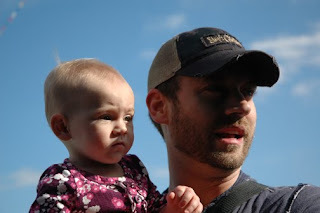 Uncle Jared and Kylie. We miss having her stinky self around. 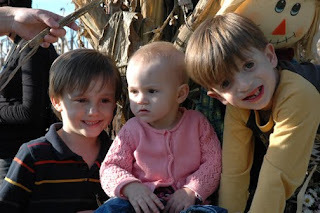 The kids at the end of the corn maze. 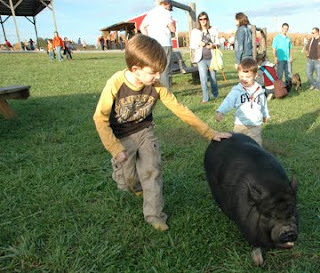 It was such a fun day at the farm. The weather was perfect and there really was so much to do. 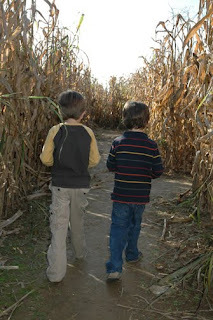 Just a week before we went there we took the boys to pick out pumpkins. They both got to pick out a face and help Jared carve it out. Their pumpkins turned out so neat and I did take a bunch of pictures but I somehow erased them of my card!! I was so bummed but at least it was just that! 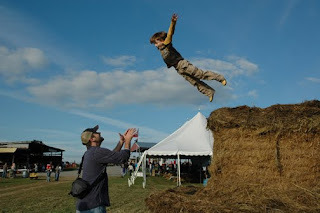 I love the pics of Andon jumping to Jared. The trust there is sooo sweet to me. How are you feeling and looking? Need to see some pics of you too! great pics!!! I was super jealous of the phrase, "perfect weather"... it is smokin hot here!!! Can't wait to see y'all. cant wait to hear about all your stuff....hope to see you Thanksgiving week...any way to plan ahead for that??? love you. I love the pictures, and you blog!